There isn't a day that goes by that I'm not living and enjoying my dream. My dream was two-fold; 1) To become a professional speaker and inspire others the way I was inspired by my mentors and 2) To have my own business. Years after finishing my Engineering degree and working in the High-Tech field, I felt like there was something missing in my life. Like I was capable of doing more but I just couldn't put my finger on it. It wasn't until I discovered my unique abilities and strengths through the tools I discuss in my program ChangeMakingAI 2.0 that I came to the person I am today. Unfortunately, it took was years of having the door slammed in my face, being told I'm no good and feeling absolutely worthless to realize that my change had to come from me. That if I didn't like the rules, I needed to break or change them. That I needed to leverage my strengths and never ever ever give up in order to be the successful speaker and business person that I am today. Whether its speaking, teaching, blogging or running my business, each day I've made it my personal mission to empower my audience members so that they don't have to go through years and years of pain to become the ChangeMaker that they want to be. On the business side of things, I run a mobile app development company and have launch a number of iPhone, Android and BlackBerry apps. My skills and knowledge are in constant demand. I felt the need to give back for the success I have achieved by producing a program for businesses to help them become successful in the mobile sphere. I also teach mobile and computing at various colleges in the Toronto area. 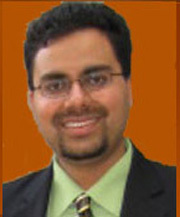 Find out more about Jawaad Sheikh at http://www.jawaadsheikh.com.